The Holy Roman Emperor made Florence a duchy, and granted the Medici family the title. Upon taking power, the family made some changes in the city to consolidate the administration of the city and their own court. 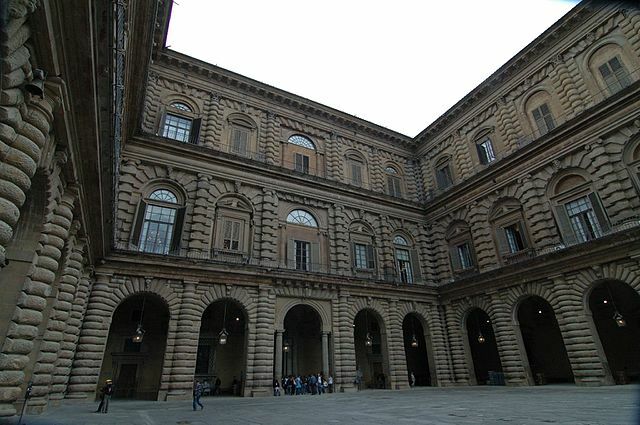 The Palazzo Pitti is the result of this effort. It is both classically inspired and suggests a fortress-like and imposing character that communicates the power within.